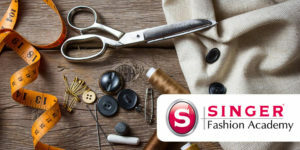 Singer Fashion Academy is the First Sri Lankan Institute to have courses awarded CSD Validated status. The award to five of the courses continues the Society’s strategy of engaging with those studying and practicing in ‘design related’ fields. All five short courses offer students the opportunity to develop and enhance their technical skills as well as developing their design capability. “We’re delighted to have achieved this endorsement from the Chartered Society of Designers UK, which is a testament to the high-quality of our programmes. As the first local body to receive any form of validation from CSD, the Singer Fashion Academy now offers an internationally recognised academic path for its students to scale greater heights within the global design industry,” said Asoka Pieris, Group CEO, Singer Sri Lanka. The Society’s Course Endorsement Programme is gradually achieving international recognition in supporting both design and design related students and teaching staff. A full list of courses can be found on the Find-a-course directory on the home page of this website.